- You can never stop learning from research (but there is a point where you stop and act on your findings). - There will likely be something to trip you up, no matter how rigorous you think you're being. In our case it was the wifi connection not being reliable in the hotels. This is a great example of why you should test, test, and do some more testing. - There are many different ways to test and they're all useful in their own situations. We took advantage of field studies, ethnography, vox pops, and interviews, even just coming together and collaborating with our own ideas moved us forward. A discovery project began in order to understand if there existed any part of the in-stay experience that we could benefit, whether that be for the guests or operations. We believed that we could solve these issues with a single product: a check out machine. This would provide another point, conveniently placed, for guests to return their key card which could be read and instantly fed back to housekeeping while the guest completes a short survey about their stay. Due to our skills being in digital design and research, we contacted MapProjectOffice (an industrial design agency) to help with the physical aspects of this project. Doing this, we hoped to be able to learn from them to benefit our future work. This stage was very much assisting Map with their work in early ideation of what the product may look like. Through this we shared knowledge and assets for them to understand our design language and the environment that this would sit in. We had several sessions where we gave our feedback on designs and interactions before we were comfortable with the road they were going down with. It was key that this would be effortless and satisfying for the guest. Once they had created three different cardboard concepts, myself and a colleague took them down to a hotel reception and observed guest behaviour with them for several hours and conducted vox pops to understand why they used the key drop and survey. We learnt that the perception of it was positive and that it was useful, especially in the instance of queues and for repeat stayers who are more comfortable with the idea of quickly leaving a hotel when checking out i.e. those staying for business. The position of the unit was highlighted as incredibly important, too near reception and it caused awkwardness for the guest if they made eye contact with the receptionist as they were about to deposit their card, too far and it caused a very apparent divide between guest and staff. This was a big issue for our brand who prides itself on its people. The shape of it was important too, a few concepts were quite low and, as a result, missed by guests. It needed to be tall, like a waypoint, and use messaging on its front and side to communicate what it is so that guests may understand its use from whatever angle they view it from. These sessions were conducted multiple times to gain learnings such as these. We also brought the level of fidelity up to be made from MDF to create a more realistic test. Bringing an iterative and research minded approach to this project was incredibly fruitful as just a few hours of testing was enough to answer questions we had endlessly debated and brought new ones to the surface. After testing the physical unit and coming to more of a conclusion as to how that would look, we also needed a screen for the housekeepers so that they could see what rooms were being checked out. I took on the research and design of this. We had several hypotheses on how they would use it - they would need to sort, and delete, and all of these other features. To uncover what they really needed, I put in some time with a couple of head housekeepers to understand what their process was so that we could align with that. I first thought to delete rooms as soon as they were marked as done to clear space and create focus on only what was needed to be done, learning this meant that I needed to keep all rooms on show so the head knew which ones were to be checked. Instead, all rooms were deleted at the end of the day. They're delegated by floor e.g. a housekeeper will clean floor 1-2, another will clean 3-4, etc. I couldn't rely solely on language and so used colour to show the difference between done and ready. This was tested with staff to see if they understood it. The final piece of the puzzle was the survey that was activated once the guest had dropped their keycard. We knew that being able to get feedback from guests while their stay was fresh in their mind at the point of departure was big so we deliberated on the many ways we could do this. It needed to be quick as guests are checking out and we didn't want to sour their stay right at the end. We had several ideas - use a number scale, or faces, words, perhaps even specific questions such as how their meal was or their bed. The number of options was important too, an odd number meant that we gave guests an option to be neutral and pick whatever was in the middle which doesn't give us data to work from. So we created several variations and I went to the reception of one of our local hotels and asked people to use it, what they thought of it, and what they expect from a survey at the point of their checking out. I learnt many things that led us to be able to land on a survey design that was quick for the guest and robust for the business. With our unit, survey, and housekeeping screen researched and iterated upon until the point of us being confident we've got it to the best position to gain some further learnings, we got the first unit manufactured and put in a real hotel. We arranged an onboarding session with the staff and managers so that they knew how it worked, what they were to do with it, and what they needed to do if anything went wrong. I was their point of contact in case they needed help and arranged further meetings with us and Map's team when any piece of maintenance was needed. 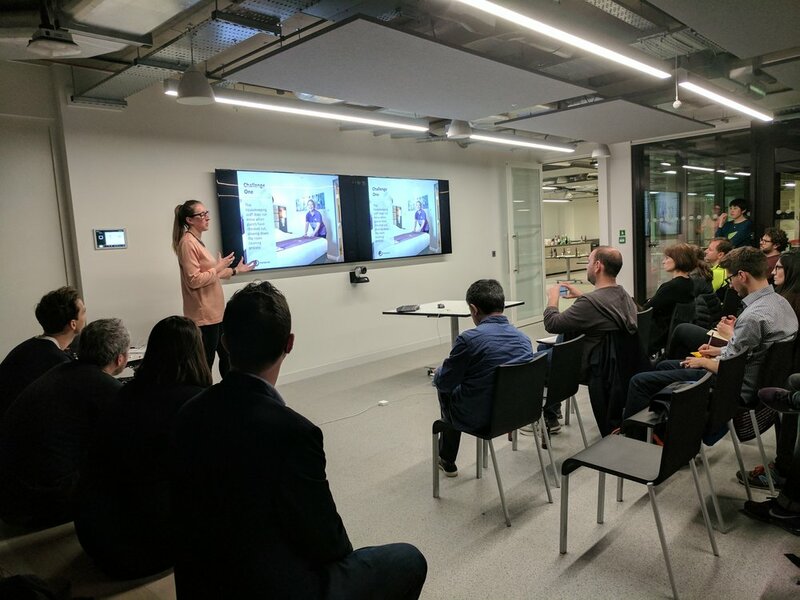 IxDa had asked us to present a project we had been working on and so brought this to their MeetUp on Connected Spaces in March 2017 to 50 people at R/GA's offices. 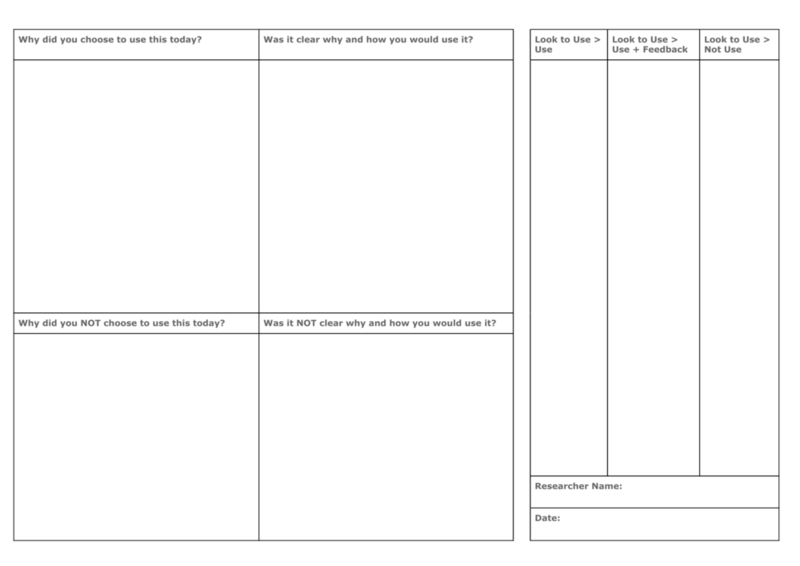 At the end of the trial, myself and a colleague worked together to analyse the results and pull together a deck for one of the board members to decide where to take this next.